Kelvin Jeffrey Jones is accused of attacking a young woman and threatening to stab her at a CATS bus stop in south Charlotte. A man has been arrested in connection with the assault and attempted kidnapping of a woman at a south Charlotte CATS bus stop. Charlotte-Mecklenburg Police said that Kelvin Jeffrey Jones, 53, was arrested by G4S Police on an unrelated case and recognized him from photos distributed by CMPD. Jones was transferred into the custody of CMPD and charged with first-degree kidnapping and assault with a deadly weapon inflicting serious injury. Jones is accused of grabbing the victim from behind while she was waiting for an Uber at the CATS bus stop at I-485 and South Boulevard around 7:30 Sunday night, February 17, 2019. The woman told 911 that the suspect told her if she looked at him, he would kill her. The woman says she began to walk away, when the man grabbed her from behind and held a knife to her neck. Police say the woman used a stun gun she had with her and escaped with a cut during the struggle. She is expected to be OK. According to jail records, Jones was released from prison this past September after serving a 9-year sentence for armed robbery. “The goal when individuals enter prison is to rehabilitate them, sometimes that doesn’t always work,” said CMPD spokesperson Brad Koch. On Tuesday, CMPD released surveillance photos and a description of the suspect. Within hours, Jones was in CMPD’s custody. Jones is expected in court Wednesday morning. “We hope the full weight of the justice system will now do its work,” said CMPD Chief of Police Kerr Putney. CMPD received numerous calls from the community reporting dirt bikes and ATV’s riding on several busy streets in Charlotte on Saturday February 16. 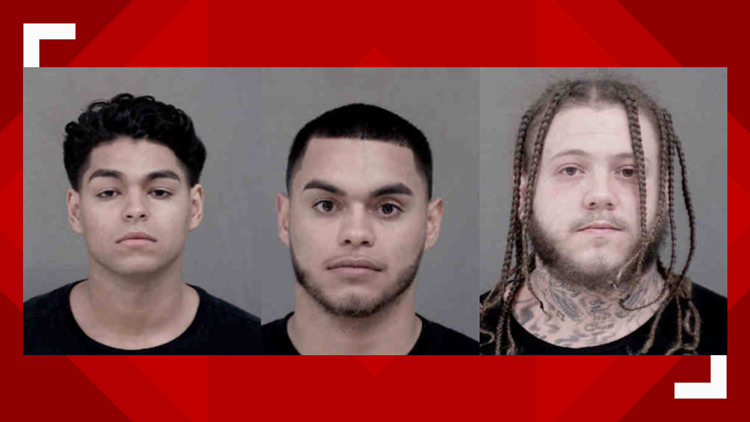 Charlotte-Mecklenburg Police have four people in custody after being accused of reckless driving on dirt bikes and ATV’s throughout several streets in Charlotte. Police said around 3 p.m. Saturday CMPD received numerous calls from the community reporting approximately 70 dirt bikes and ATV’s riding on several busy streets in Charlotte. Callers reported the dirt bikes and ATV’s on Morehead Street, Freedom Drive, Wilkinson Boulevard, Statesville Road, Oakdale Road, streets around South Park Mall and several other streets, said officers. Police were able to locate the dirt bikes and ATV’s near the 4600 block of Oakdale Road, where four people were arrest and three others were issued citations. CMPD said one of the four people apprehended, Kelvin Ross, 25, was arrested because the ATV he was driving had been reported stolen out of Georgia. After further investigation that ATV was not stolen and the charges against Ross were dropped and he was released from jail. The Charlotte-Mecklenburg Police Department is continuing to investigate this incident.